There have been encouraging signs over the last few years that feminist youth work is re-emerging. Feminist Webs has been central to this welcome shift and is now in a new home. 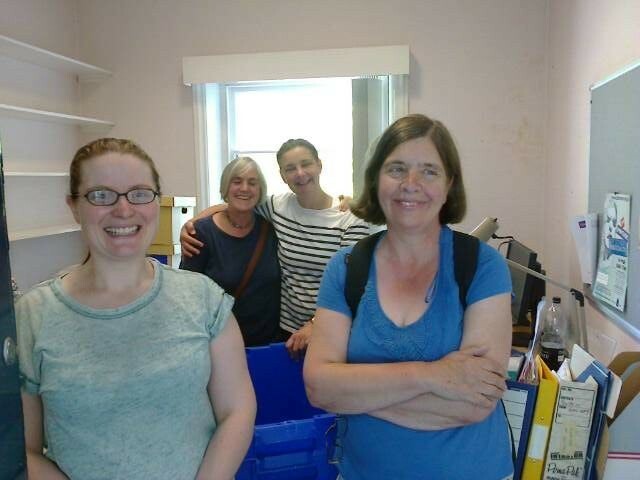 The Feminist Webs archive was packed up by some willing volunteer and has moved into the new Birley Campus in Hulme (Manchester Metropolitan University), following the closure of the Didsbury Campus. The archive is going to be opened up once a week from September by Alison Ronan who said, ‘I hope it will make it easier for anyone who is interested to be able to come and have a look at it, and to start doing more exciting things with it’. Whilst in a recent post, Girls Matter, we welcomed GirlGuiding’s call for change, its proposed eight solutions that girls and young women, and Girlguiding, believe will help to tackle the challenges they face and eliminate the barriers that hold them back and limit their aspirations. In this context we’d like to draw your attention to this sobering and inspiring description of global struggles, Claiming Rights, facing fire : young feminist activists, written by Ruby Johnson, co -leader of FRIDA | The Young Feminist Fund. And, given our Campaign’s emphasis on Story-Telling, there’s a designated page, Our Voices, featuring young women’s personal stories as a powerful tool for social change. Next The Illusion of Democracy in Parliament Square and Beyond. Anybody bothered?